Preservationism is a dominant account of the justification of beliefs formed on the basis of memory. According to preservationism, a memory belief is justified only if that belief was justified when it was initially held. However, we now know that much (if not most) of what we remember is not explicitly stored, but instead reconstructed when we attempt to recall it. Since reconstructive memory beliefs may not have been continuously held by the agent, or never held before at all, a purely preservationist account of memory does not allow for justified reconstructed memory beliefs. In this essay, I show how a process reliabilist account can maintain preservationism about reproductive memory beliefs while accommodating the justification of reconstructive memory beliefs. 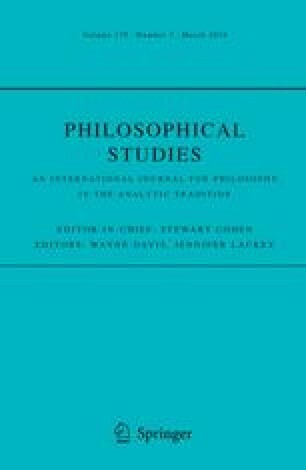 I argue that reconstructive memory is an inferential process, and that therefore the beliefs it produces are justified in the same way that other inferential beliefs are justified. Accordingly, my process reliabilist account combines a preservationist account of reproductive memory with an inferential account of reconstructive memory. I end by defending this view against objections. I wish to thank Alvin Goldman, Preston Greene, Jack Lyons, Susanna Schellenberg, and an anonymous referee for their helpful comments and guidance on drafts of this paper. I would also like to thank audiences at the Australasian Association of Philosophy Conference, National University of Singapore as well as the Rutgers philosophy and cognitive science graduate students for their helpful comments.